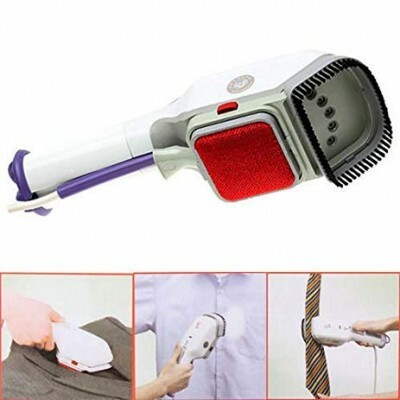 Portable electric clothes steam brush Multifunction iron With Brush removes dust and fluff. Removes wrinkles and creases easily. Sterilizes and disinfects fabrics with its steam. Usable on most fabrics-I(upholstery, blankets, clothes, and more). 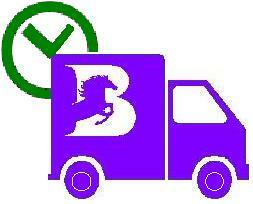 Fits into luggage, suitcase and garment bag. Great for use at home, office and travelling. Sticky Teflon panel for removing lint. 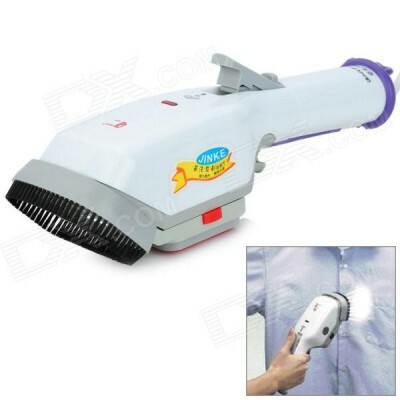 Product Description: Fabric brush helps steam-penetrate garments and remove wrinkles. Perfect for pressing in sharp creases and pleats as well as smoothing cuffs and collars. 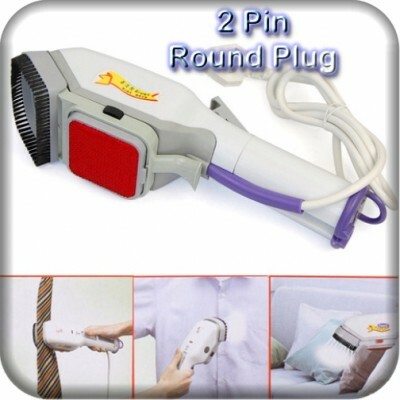 Two heating elements ensure that five steam holes spray powerful steam. An ideal tool for use around the home. 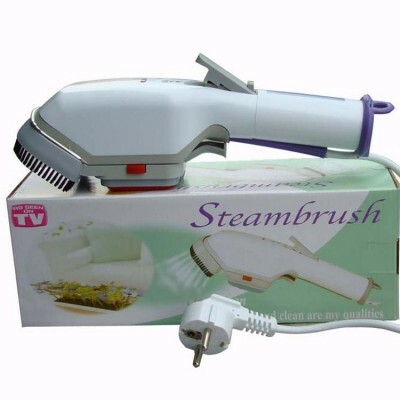 Steam brush features vertical steam, fabric brush, wool brush. Use the wool brush to remove the little piece of thread, hair and other things on the surface. Removable water tank with water level display. 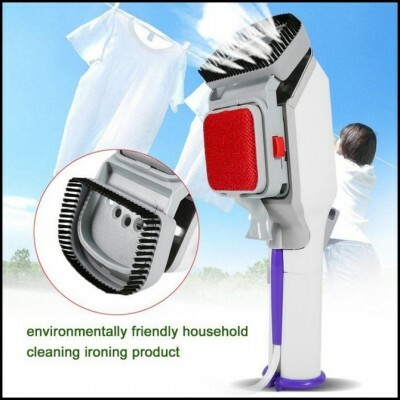 - Easy to operate and suitable for all kinds of material for clothes in the family. 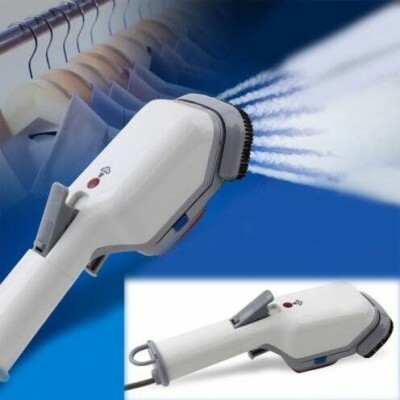 Steam brush features vertical steam, fabric brush and wool brush. 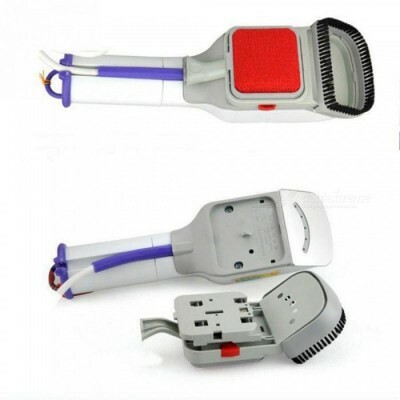 Product Specification : Input voltage : AC - 220V / 50hz. Dimension : 260 x 70 x 75mm.